As yet another year of Coachella approaches, so do the annual festivities around the double weekend music festival. One event in particular, DayClub Palm Springs, has just announced it too will be returning for both weekends of the world-renowned gathering in Coachella Valley. 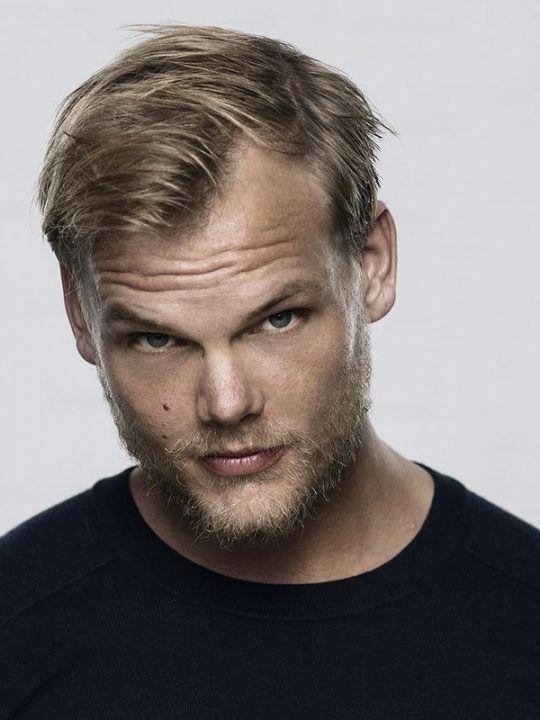 Previously boasting names like David Guetta, Tiesto, Deorro, Chromeo and Martin Garrix, The Hilton Palm Springs Hotel will host another year of poolside parties featuring intimate performances by a selection of dance music’s bigger names. And, with a new year comes a new lineup. 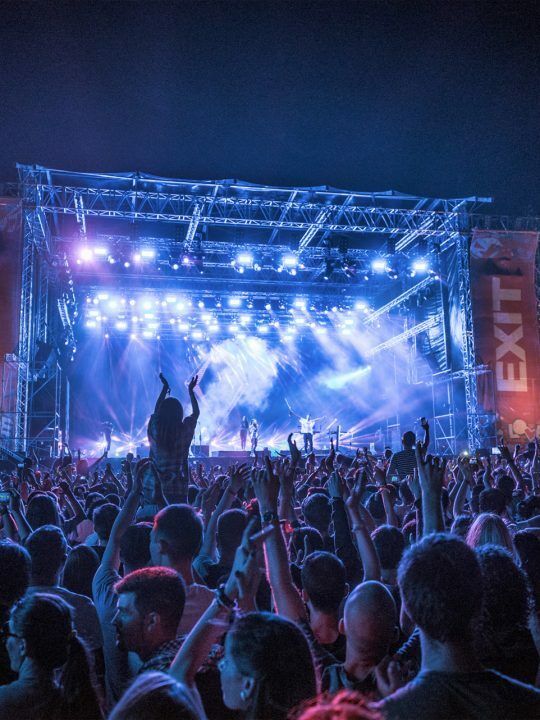 2016 will be just as stacked with a lineup listing the talents of Skrillex, Mr. Carmack, Cash Cash, Lido, Los Angeles’ TOKiMONSTA, Melbourne-based Dirty South, and hip-hop duo Rae Sremmurd. And, as a special treat on Saturday of weekend one, Hollywood’s Sound Nightclub will present All Gone Pete Tong. 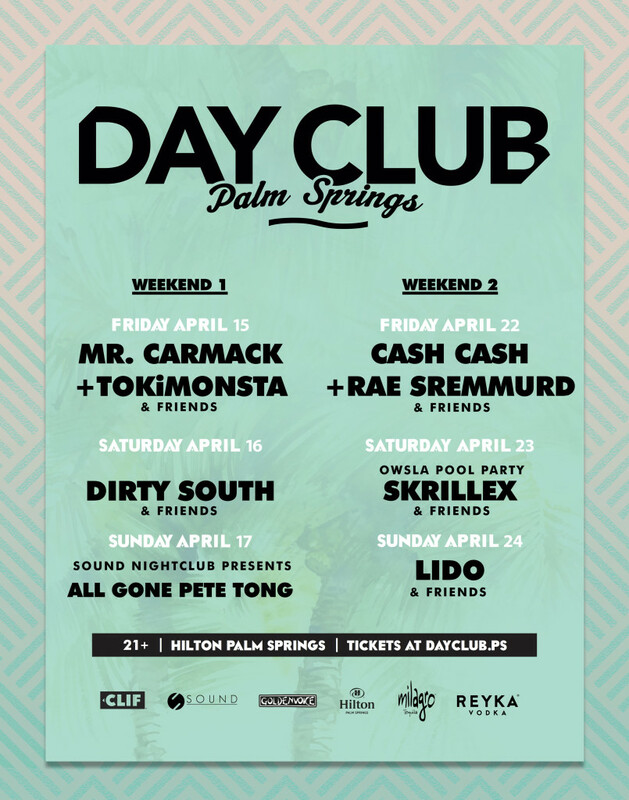 So if you’re looking for one of the most exclusive events around the Coachella Valley Music + Arts Festival next month, and you’re 21 years or older, you need to check out DayClub Palm Springs! Tickets go on sale here tomorrow, Friday, March 11th at 12 Noon PST, with daily tickets at $20 and weekend passes for $50.